Between late April and early May, tulips peak in their blooming in many places in the northern hemisphere. 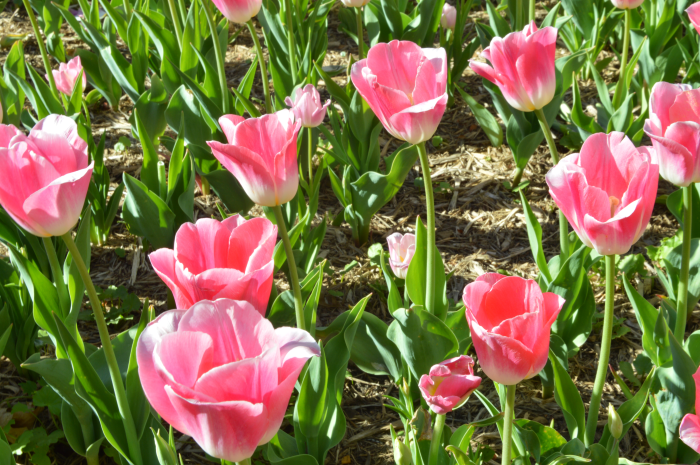 Tulips are a very Spring kind of flower; they're multi-colored, aesthetically pleasing, and persistent! We love seeing them pop up in patches. You never know what color those buds will be. White, red, pink, purple yellow? The options are endless! It's not secret tulips are so gorgeous, and people have caught on! That's why many places all over the world create elaborate tulip gardens where it's just tulips as far as the eye can see! It's absolutely amazing. One of those places is called Sherwood Gardens in Baltimore, which is pictured here. There are even Tulip Festivals! Those are usually held in a city with Dutch heritage because -- did you know -- the reason we have tulips in North America is because the Dutch brought them over with them even though they were really expensive at the time? There are gorgeous tulip fields in The Netherlands which you should check out if you ever get the chance! 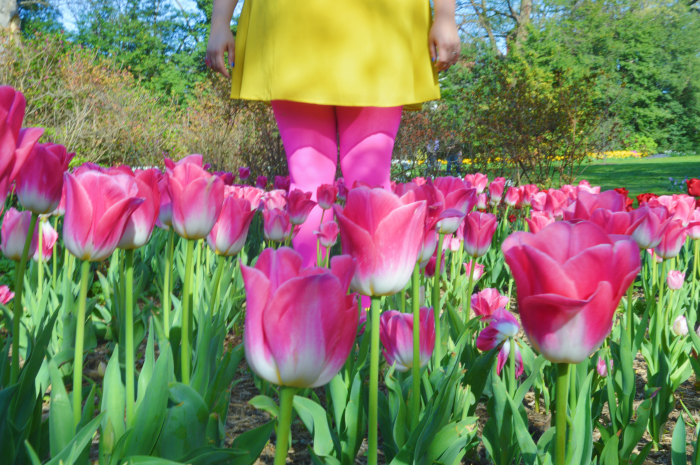 If you haven't checked out some local tulip gardens yet, do it quick before they're gone for the season! Just search for your city name and tulip garden online and you're bound to come up with something awesome! We had no idea such a beautiful place existed in Baltimore until a simple Google search! Flowers are so beautiful, and it's something pretty much everyone enjoys. It's hard to think negative thoughts about a flower, even when they're different or imperfect. This is our reminder to you to bloom where you are planted and not compare yourself to the other flowers around you! You are beautiful as you are.